Wanna come see a movie with me? 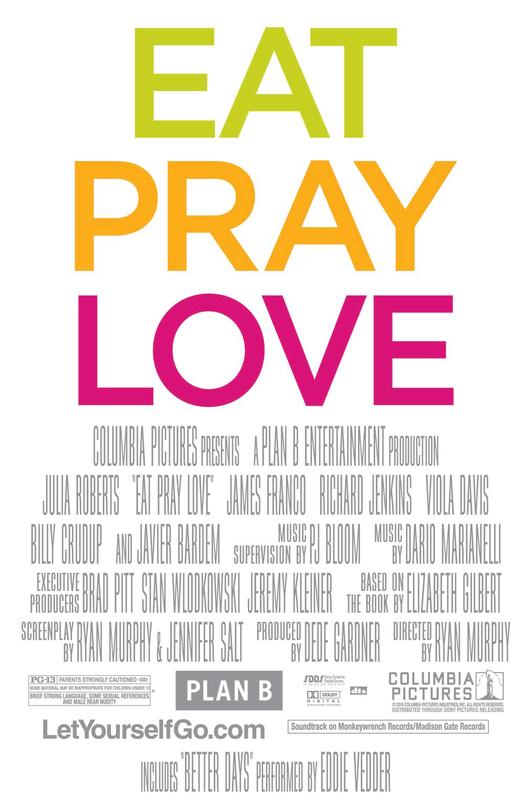 Dear Tonic-ettes, My excellent friend, Dara is organizing a Sydney charity screening of Julia Roberts's new film, Eat Pray Love at Palace Cinemas (Norton Street, Leichhardt) on Thursday 7th October. Tickets are $40 with funds raised going towards the Hamlin Fistula Aid Fund, dedicated to the treatment and care of Ethiopian women who suffer horrendous childbirth injuries due to prolonged obstructed labour, known as obstetric fistula. They will spend the rest of their lives as destitute outcasts unless they can get to the Addis Ababa Fistula Hospital or one of its outreach centres. Included in the ticket price is a glass of wine and either a Gelatissimo Choc Top or Olive Oil popcorn. Plus "rustic, hearty & wholesome" canapes, courtesy of Sassy Bites. • Alto Jaguar: A weekend with the Jaguar of your choice and a full tank of petrol(!). There are only 200 tickets available to purchase, and your support is greatly appreciated. Click here to buy your ticket online. PS Please forward on to your friends - this is an incredibly worthy cause. I wish I was in Sydney at that time. Wonderful initiative, lovely movie, what else do you need? Louise I so wish I could come. I read Catherine Hamlin's autobiography last year and was so amazed at the work they have done at Addis Ababa. Maybe I'll have to sort something for Brisbane! With a 60 day maturity, turnips need to be in the ground by August 15.
your yard; you just have to be willing to do some work. Dont let the packaging fool you into buying something that may damage your hair. and in the evening, put the mixture in the palm of your hand and apply and hold your hair and scalp. customers. Repairing larger cracks or holes in driveways takes a little more time and preparation. Can add to the beauty of the landscape when used correctly.